4k00:16Slow panning shot of male hands typing a text in front of a green screen. Creative artistic director writing emails. Artists workshop. hd00:19Man Working on the Laptop and Display with a Green Screen at the Workplace. hd00:20Man Working on the Laptop and Display with a Green Screen at the Workplace. 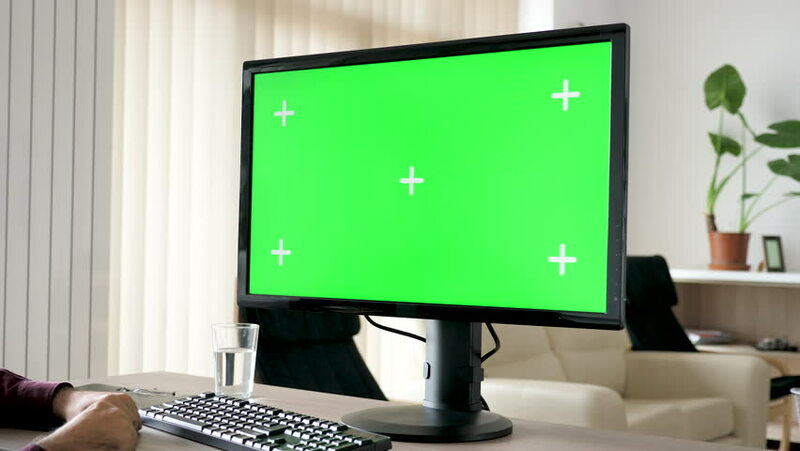 4k00:07A Female hand switches channels on a TV with a green screen. TV stands on a small black table. Monitor in a room with blue wallpaper.